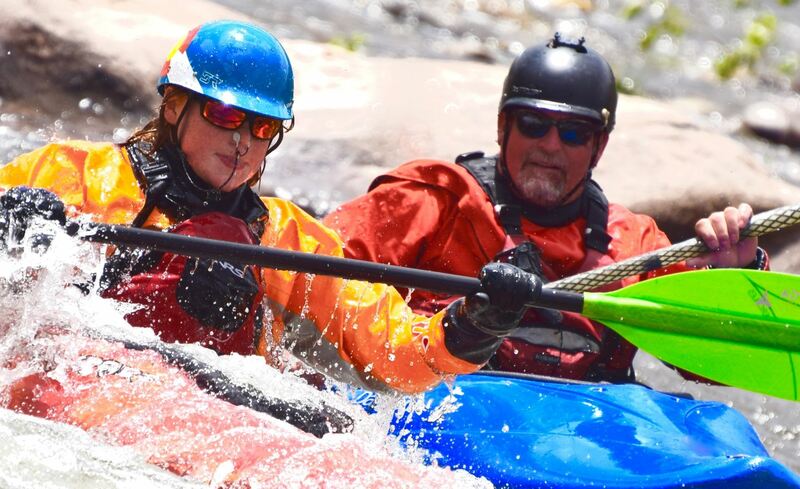 This series of classes is intended for youth, ages 8-17, and will provide a progression of skills designed to develop safe, strong and confident white water paddlers. This class is suitable for the brand new, intermediate and advanced youth kayakers. Kids will learn about boats, essential gear, paddle strokes, river safety, rolling and bracing, play boating and more. The focus will be on SAFE, FUN boating. Participants will need parental approval. CW has a limited amount of equipment that can be made available for student use. Cost: $180 for the course. Note: There will be an open pool session running concurrently with the Kids Team so that parents can hone their kayak skills at the same time as the kids. The pool entry fee will be $10 per session for kids and parents. Flatwater and moving water days will be scheduled at dates to be determined. In order to register for this series, parents must obtain a registration code from Bruno Lutz. You may also need to fill out this Bailment and Use Agreement as instructed. Click here to register after acquiring the code.